If you want to try 88 different colours in the Daniel Smith Extra Fine Watercolours Range then this is the perfect solution and represents great value at just £10.99!. 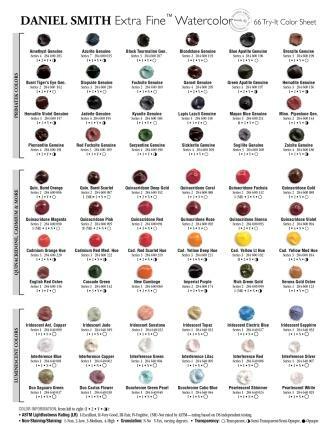 This Daniel Smith Try It Sheet contains the 88 paint-able colour "Dots" of pure Daniel Smith Watercolour that are now available in 5ml tubes. So now you can try the full 5ml tube colour range without buying a tube !!! In the world of art, words just won't do, so wet a brush and experience the magic for yourself. 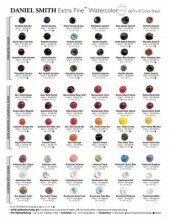 Click the button below to add the Daniel Smith 88 Dot Try It Sheet to your wish list.